Home > Printable Coupons > Sprout Baby Food Coupon | As Low As 47¢ Per Pouch! Sprout Baby Food Coupon | As Low As 47¢ Per Pouch! Looking for a great deal on baby food? 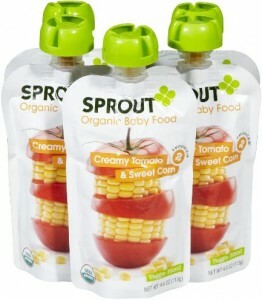 Here is a new Sprout baby food coupon that makes for a few good deals around town on Organic baby food pouches! Get them for as low as 47¢ each.